Get Trained as a Veterinary Technician Today! In order to provide superior animal care, veterinarians rely on the skills of technicians. As such, many technicians work in private clinics, animal hospitals, and veterinary testing laboratories. They conduct a variety of clinical and laboratory procedures, including postoperative care, dental care, and specialized nursing care. Technicians who work in research-related jobs do similar work. For example, they are responsible for making sure that animals are handled carefully and humanely. They commonly help veterinarians or scientists on research projects in areas such as biomedical research, disaster preparedness, and food safety. Technicians most often work with small-animal practitioners who care for cats and dogs, but they also may do a variety of tasks involving mice, rats, sheep, pigs, cattle, and birds. Technicians can specialize in a particular discipline. Specialties include dental technology, anesthesia, emergency and critical care, and zoological medicine. 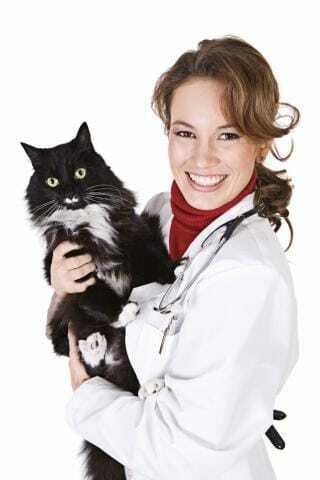 Veterinary technologists and technicians typically work in private clinics, laboratories, and animal hospitals. They may also work in boarding kennels, animal shelters, rescue leagues, and zoos. Their jobs may be physically or emotionally demanding. For example, they may witness abused animals or may need to help euthanize sick, injured, or unwanted animals. Detail oriented. Veterinary technologists and technicians must pay attention to details and be precise when recording information, performing diagnostic tests, and administering medication. Manual dexterity. Veterinary technologists and technicians must handle animals, medical instruments, and laboratory equipment with care. They also do intricate tasks, such as dental work, giving anesthesia, and taking x rays, which require a steady hand. Employment of veterinary technologists and technicians is projected to grow 30 percent from 2012 to 2022, much faster than the average for all occupations. Because veterinarians perform specialized tasks, clinics and animal hospitals are increasingly using veterinary technologists and technicians to provide more general care and perform more laboratory work. Furthermore, veterinarians will continue to prefer higher skilled veterinary technologists and technicians over veterinary assistants for more complex work. There will also be demand for veterinary technicians in areas such as public health, food and animal safety, national disease control, and biomedical research on human health problems.